Zest the rind of the two oranges. Set aside. Peel, section, and seed the oranges and grapefruits, removing white membrane. Set section aside. In a small bowl mix honey, raspberry vinegar and orange zest. Place orange and grapefruit sections topped with sliced strawberries on a serving platter. Drizzles with honey, raspberry orange vinaigrette. Top with a sprigs of fresh mint for garnish. 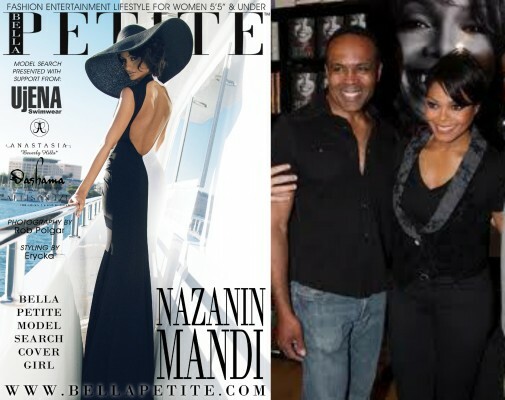 You can tune into the the live Bella Petite Hour broadcast on Tuesday (7/23/13) with special guests Kathy Ireland Design Ambassadors Chef Andre and award winning designer and builder Nicholas Walker. Together we will discuss recent news on CBS Big Brother Contestant and former Bella Petite cover model Aaryn Gries controversial comments and the repercussions words can have. The Bella Petite Hour live broadcast are every Tuesday at 10am PST and 1pm EST onAmerica’s Web Radio. The podcasts are available here on the Bella Petite radio page and iTunes. Bella Petite Magazine is Fashion, Entertainment and LifeStyle for Women 5’5″ Tall & under. “Petite is fit and full figured.” Free to subscribe! 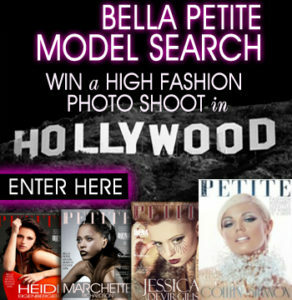 Enter the Bella Petite Model Search! Join Bella Petite and be part of the Bella Petite Fashion Initiative. You don’t see Vogue or any other fashion magazine bring petite women to the fashion forefront or offering petite models opportunity like Bella Petite, it’s our time to shine! BELLA PETITE MAGAZINE Enter the Bella Petite Model Search WIN an all expense paid photo shoot in Hollywood and a high fashion photo shoot and spread in Bella Petite! Enter the ONLY model search in the world for petite women 5’5″ tall and under. Petite models get discovered!